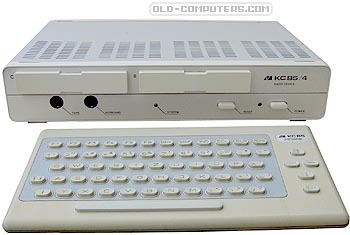 The KC85/4 was the last one of the KC85/x series. Although it doesn�t look quite different, some internals changed. The whole design changed a bit, and software which used to access hardware directly, sometimes didn�t work any longer, as some addresses changed. Also, memory was expanded to 64 KB, and the whole memory could be used by software. The ROM increased to 20 KB. The CAOS system offered printer support for most of the available GDR printer models. There are two expansion slots, which could be extended to four through an expansion set-top. Information kindly provided by Stefan Goehler. see more R.F.T. KC 85/4 Ebay auctions !